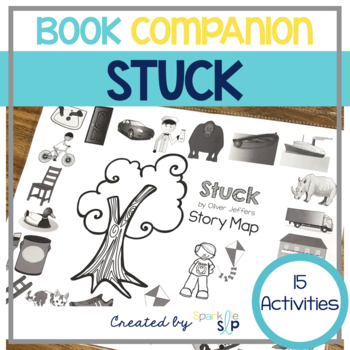 Story map pg. 4: Use to retell the story. Print for each student or use in a sheet protector. Describing worksheets (black & white) pgs. 5-9: Describe a kite, fire engine, paint, orangutan, and lighthouse. Write descriptive features for each Tier 1 vocabulary picture. Suggested Use: Print for each student or use in a sheet protector with dry erase markers. Articulation word lists pgs. 10-11: Words from the story targeting the following sounds in mixed positions in words: /sh, ch, j, th, k, g, f, v, s, z, l, r/. Suggested Use: Use for auditory bombardment, drill practice, and writing words on the open ended articulation worksheet for home practice. Open-ended articulation worksheet pg. 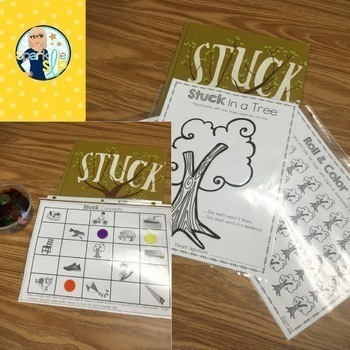 12: Tree theme for writing down target speech words. Regular and Irregular Verbs pgs. 13-20: 12 regular and 9 irregular verbs in yesterday, today, tomorrow strips. Suggested Use: Print, cut, and laminate each strip or place in a sheet protector. Have the student make a sentence with each verb in the past, present, and future tense. Inferencing pg. 21: 5 questions to practice inferencing skills using the story. Subjective, objective, and possessive pronouns pgs. 22-25: Suggested Use: Print and place pronoun pages in sheet protectors. Print, cut, and laminate small pictures. Use pictures with pronoun page sentences. Subject/verb agreement (was/were & is/are) pgs. 26-28: Sentence strips with verb word cards & character pictures. Suggested Use: Place was/were & is/are pages in sheet protectors. Print, cut, and laminate small word cards and character cards. 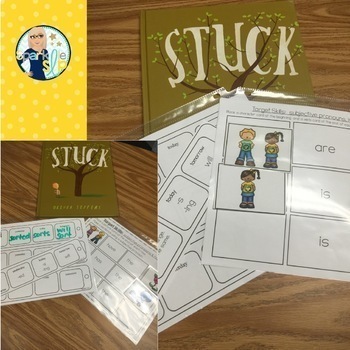 Use verb cards and character cards in sentence strips. Basic Concepts Grid pg. 29: Use grid to target basic concepts using chips or by marking location. Summarizing pg. 30: Open-ended worksheet for practicing Somebody Wanted But So Then summarizing strategy. 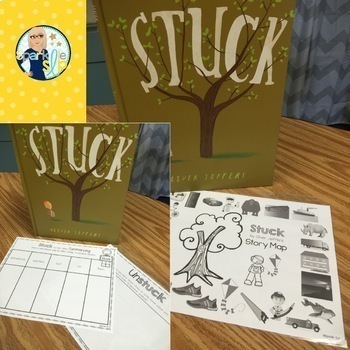 Unstuck open-ended worksheet pg. 31: Draw pictures or write words to tell some ways you sorted out a problem. Venn Diagram pg. 32: Use the Venn diagram to compare and contrast items from the story. Suggested Use: Print for each student or place in a sheet protector and use with a dry erase marker. Roll & Color (or cover) Tree pg. 33: Suggested Use: Use with tokens or crayons/markers and dice for reinforcement. Stuck Reinforcement pg. 34: Print as many copies of this page as desired for a game. Cut and laminate cards. Place cards face down on the table or in a container. Students choose a card after practicing a target skill. The student with the most points (kites) at the end wins! Watch out for the trees! Sparklle SLP is not affiliated with this book. Stuck is required for use. This product was made using Smarty Symbols Images, all rights reserved, 2016.